After he began working at the summer camp he’d been attending since childhood, Max Benezra soon realized he wanted to work with kids. He thought he’d pursue elementary education, but by the end of high school, he knew he wanted to enter the psychological counseling field. Upon completing the course, Max joined the OASIS/HAVEN peer support service group on campus, and now serves as an assistant coordinator. He is also a senior resident assistant and community development assistant in Deyo Hall, co-director of the campus Epic-Glee club, and a Student Ambassador with the Office of Undergraduate Admission. “I had many parents tell me I really helped their kids out. 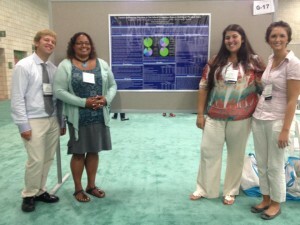 Max (far left) represented SUNY New Paltz at the American Psychological Association’s Annual Convention held in Honolulu, Hawaii, and won an award for his poster presentation. In August 2013, Benezra represented SUNY New Paltz at the American Psychological Association’s Annual Convention held in Honolulu, Hawaii. Along with his mentor, Dr. Kathleen Tillman (Psychology), they presented their research titled Factors Influencing Whether Or Not School Counselors Report Childhood Physical Abuse, and won an award from their division on their poster presentation. Benezra received a Student Travel Award (STA) from Undergraduate Research Scholarship and Creative Activities (RSCA) to support his trip. Beyond his studies at SUNY New Paltz, Max has future plans to pursue his doctorate in counseling and hopefully work in a private practice or a school setting. 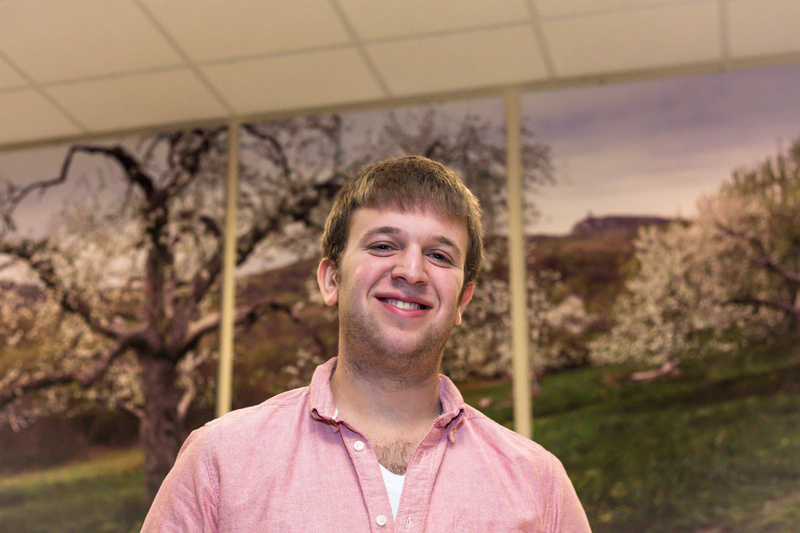 Max, now a senior, jumped at the chance to complete an internship with the Children’s Home of Poughkeepsie last year. As an intern in the clinical department, he assisted with play therapy sessions for foster children and performed research for the clinical director.